SCAnetwork, a division of Senior Care Authority, provides training to those interested in starting their own senior residential placement business. The program has been updated to include instruction by several professionals in the industry as well as enhancing its subscription program for users. 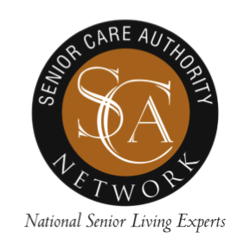 Senior Care Authority™, a senior residential placement service in California, has further enhanced the training and subscription program of its SCAnetwork division. The program is open to those who want to learn the business which helps identify the best location for seniors to live at no cost to families. Senior placement services provide free assistance to families in helping them find the best care at assisted living, residential care homes and dementia care locations. “SCAnetwork currently provides individuals with the skills and knowledge to work independently when assisting seniors and their families,” Samson says. “Families are under a lot of stress when making these type decisions, and they like to know that the people are knowledgeable of the various care locations while providing the guidance and input needed. This is what we teach." SCAnetwork has added a new "Subscription Support Program (SSP)" which includes website development, search engine optimization, customized online newsletters, lead generation and access to a customized, Customer Relationship Management Program. The beauty of the SSP is that each of the subscriptions are optional and does not require any long-term contracts or significant up front money. SCAnetwork's training and subscription service allows individuals to avoid reinventing the wheel. "I can say confidently from first hand experience that if I had SCAnetwork to assist me when I started out, I would have accomplished more in far less time and at significantly less cost,” Samson said. Senior Care Authority Network (SCAnetwork) is a Consulting company providing a unique Training Program for those wanting to start a Senior Residential Placement Service. In addition, the company provides an optional Subscription Support Program which includes website development, search engine optimization, customized online newsletters, lead generation and access to our customer relationship management program specially designed for the senior residential placement business.